The Excel Source and Destination works in 64-bit machines and easily reads metadata. The Power BI Refresh task can also refresh your Excel Power BI queries and data. Reading data out of Excel can be a pain! The native Excel Source built into SSIS often has issues retrieving data on a 64-bit machine and can read the wrong data types from Excel. 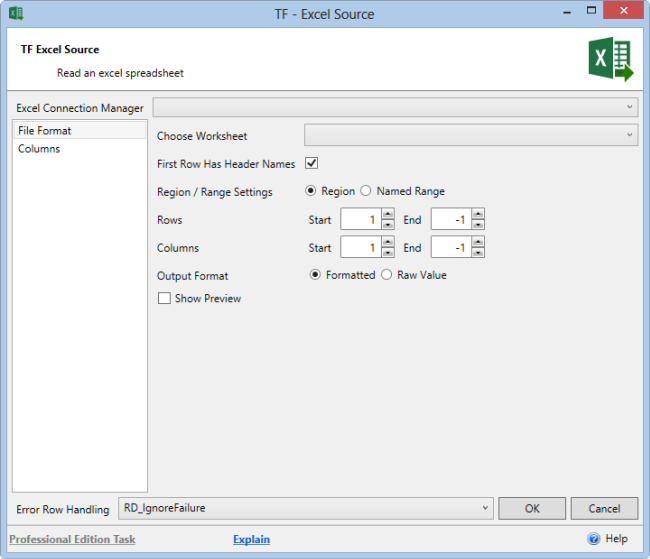 The Excel Source in Task Factory reads data out of Excel even when running on 64-bit machines. It can read ranged data and gives you an easy to use preview to ensure you have the right amount of data. Most importantly, it reads data out of a spreadsheet with the right data type. Loading data into Excel can be a painful task. It's hard to control the formatting and many times, things don't work on modern day machines in 64-bit. 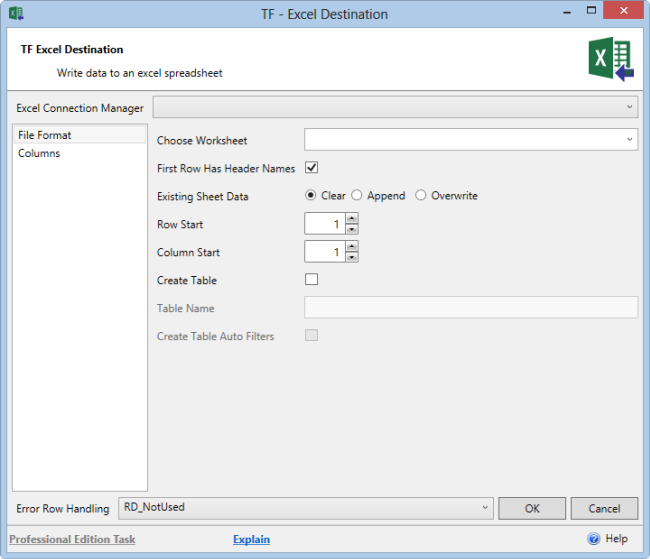 The Excel Destination works natively with 64-bit machines while writing in data with the proper data types. As the destination is writing data, it can append or overwrite the existing data. It can also create an Excel table with more stylized data. 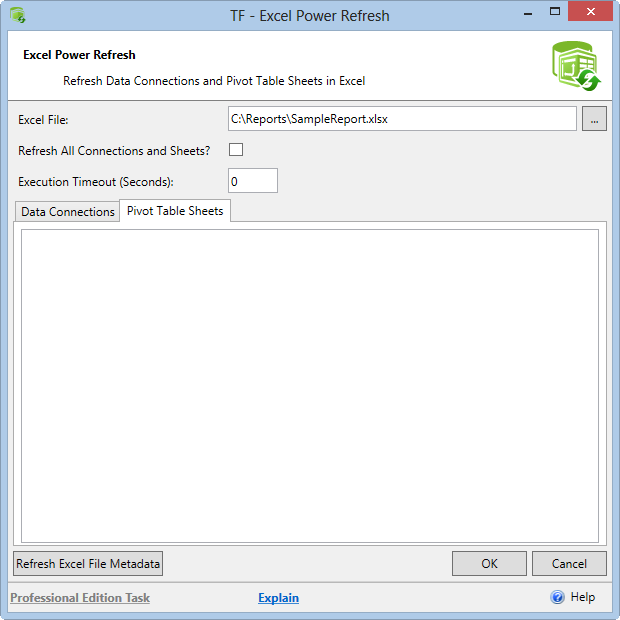 The Excel Power BI Refresh Task is a control flow component that refreshes an Excel file with Power Query connections and Power Pivot tables. It's especially useful if you have Excel files on a shared drive that you want to refresh regularly without having to purchase SharePoint.